They act physically as a specialist advisers, especially in industrial marketing like the installation of accessories material. They help for the progressive order of the product and handling complaints which may arise from time to time. They are responsible for giving a feed-back of the reaction of the market to the mother company. They provide merchandising services to stimulate the buyers like picture cards that are discarded from chewing gum. The physical nature of salesmen work also permits assistance. During such period the assistants are trained and equipped with the technicality of selling. Credit control and sometimes carrying out marketing survey. Telephone inquiries and advertising the product when necessary. As a promotional marketer, they can split the above functions into two basic category, though, sometimes, neglects some vital areas: Routine daily operation. For example, while a company that is highly oriented in marketing of consumer products will depend on advertising as its chief promotional activity, a company engaged in marketing say packaging and packing for industry, advertising will not be the best method of achieving sales operation. The nature and size of a particular company are the major determinants on whether to favour routine or specialist functions. Product knowledge is believed to be the most interesting topic for discussion when training salesforce. The outcome of such knowledge includes features, benefits, analysis of competitors product, preparation for presentation, confidence, and sales. FEATURES – features is the physical attributes of a product itself, and they could also be referred to as non-product aspects of the totality of the product. It plays such a vital role because it enable sales personnel to describe the features of each product they are engaged. BENEFITS – The benefits are the reason why products are bought. In other word, it refers to the way in which a product can satisfy the purchaser’s needs. For example, people may not buy lux soap, if the benefits are not stressed. ANALYSIS OF COMPETITORS PRODUCT – Once specific benefits have been developed for specific market to satisfy specific needs, the salesman should be prepared to analyse competitors product. It is the obligational goal of salesman to examine critically the features and the benefits of competitor’s products against their mother company products. They need’s to provide answer to the following questions within their mind set. Are there any differences between his products and that of the competitors? Are their products superior/inferior to those of the competitors product? PREPARATION FOR PRESENTATION – Once the features, benefits, and competitors has been analysed, the next stage is how to present the product. Some products need desertions and while others need demonstration. As teacher equip himself before going to the class likewise salesmen equips himself before going into the market. Therefore, sales aids and other sales stimulant must be in order. The result was that within an hour, they sold three hundred tins of oil. SALES – When the confidence has been built, the enthusiastic sales salesmen are bound to make sales. THE PRODUCT – There is no better source of product knowledge than the product itself. Therefore, it is the duty of salesman to spend much of his time with the testing laboratory as to know the compositions of the product. EXPERIENCE – A salesman with many years of fruitful success and experience can supply raw data to their mother company which could be used by management as market intelligence. OTHER SALES PEOPLE – Salesman of different companies should be capable of exchanging ideas with one another periodically. In this wise, a company that are lacking can easily identified their pitfall. SALES MANUAL -The possible advantage of sales manual (over other communication system (like radio, television etc) is that sales manual can be retained and cam be refer to any time. This also serves as a good source of product knowledge. PRODUCTION DEPARTMENT – Salesmen should be allowed to visit the production department as to be knowledgeable with their products. This will enable them to understand the physical attributes, production cost, and available product varieties. These department are responsible for aiding the company to achieve it’s objectives by giving detail information about the product itself. OTHER ACTIVITIES INCLUDES – Among this are sales literature, advertising, plant tours; (work visit), sales training, universities lecture, supplied literature and aids, magazines, journals and company catalogues etc. Company knowledge is knowing everything about the company. There are ten functional areas in which the sales personnel needs to be knowledgeable. MARKETING RESEARCH DEPARTMENT – This department is responsible for giving timely information into the hands of the decision making body. They analyses numbers of products that are of importance to sales personnel, including the market, the environment, and the personal selling itself. The environmental factors consist of areas outside the environment that have great impact in sales department. The marketing research department also gives useful information about the market suitability for the product. They also predict the best personal selling method to employ, assessing how the salesmen are doing, thus helping to them to do better jobs. ADVERTISING – The advertising department and the personal selling department must work in harmony as to achieve the desire -e objectives. Although, there are variations in their nature of work, yet salesmen should be capable of co-ordinating the activities of advertising. SALES DEPARTMENT – Sales personnel must understand the method and time of presenting the promotional support below. (iv) Point of purchase displays. PUBLICITY – It plays such a significant role within the marketing mix like the news, stories, magazines, articles, and speeches by company executives. It should be capable of creating a favourable image for the company and the product itself. PHYSICAL DISTRIBUTION – This could be defined as the outward and inward movement of goods and services. These consist of movement of the right amount of the product to the right place at the right time. It covers order, processing, ware housing, inventory, material handling, and transportation. RESEARCH AND DEVELOPMENT – This department is charged with the key responsibility of developing and converting the new ideas into product, lit becomes clear that sales personnel should share and remain in touch \with R.D. department about the progress of the product. This department must be furnished with the latent trend of the market regularly. PRODUCTION DEPARTMENT – Sales personnel must be close to this department as to know the physical attributes of the product manufactured. And, this will go a long way as to enable them make impact in selling. CUSTOMER SERVICE — The customer service department serves as another vital source of company knowledge. This department are responsible of identifying customers likes and dislikes. CREDIT – Another source of company knowledge is the credit system or facilities granted by various companies to their customers. Through this means, sales personnel can discharge this responsibility efficiently and effectively. Many entrepreneurs in the whole of Africa, especially Nigeria entrepreneurs of failing businesses often prefer to apportion blames on the inadequacy of funds, lack of business opportunities emanating from faulty economic systems or maladjustments in the national economy. At best, they see business failure as an imminent consequence of poor sales and it is on these blind claims they rest their case. Speculating the number of businesses that pass through register of registrar of companies annually; juxtaposed with that of successful ones, we can safely say that only one out of every hundred registered businesses can actually be found to be doing fine. Many are just struggling to survive. Even amidst scarcity, hundred of business organizations die every day. And, majority of such enterprises bailed to see the light of the days simply because their managements lacked marketing expertise. It was not because they did not have good employees or adequate capital. They may even have had sufficient business opportunities (markets) which they failed to exploit. This is the painful price of amateurism. (a) Lack off expertise knowledge. (b) Shortage of technically trained salesmen. (c) Lack of: adequate research. (d) Difficulties in organizing and controlling the new product established. (f) Problem of establishing market potentials. (g) Shortage of capital before commencing such business. Being producers’ and sellers’ market economy there is growing tendency among our ‘Big’ I businessmen here in Nigeria to overlook the importance of strategic marketing planning. More often than not, the belief is that goods will definitely sell themselves without the slightest application of marketing ingenuity. That is why marketing programmes, where they are appreciated at all, are always planned and executed perfunctorily. Often times, businessmen have relied on feasibility reports in respect of a given project which is an end in itself. While some pursue various actions based on unreliable data, some operate a meaningful document in parrot fashion. Due to self – education, many entrepreneurs do not see the) need for a deliberate market study and analysis. They feel it is all waste of money, energy, and time. This is the beginning of outright mis-adventure. Lack of understanding by management of the imported marketing concept is the starting point for a firm which hopes to move on an uncharted course. This is synonymous with the ghostly appreciation of customer/consumer orientation as a panacea for business survival. No doubt, ideas do come in before other things, but no idea is meaningful until the product has been sold. It; must therefore be borne in mind that what people would desire and be capable of possessing is what an innovator should develop and commercialize. The general mistake that the Nigerian consumer has no choice but to take whatever is pushed to him in the market place has long be debunked as a product of ignorance. Today’s; growing complications which emanate from consumer sophistication, dwindling level of disposable incomes and fierce competition among firms in some industries are pointers to the truism that the buyers’ choice must be recognized. The end result of manufactured goods that have not been tailored to the needs of the consumer is loss of business. In the light of this, you don’t expect am unwanted product or a poor service to sell itself by mere price cutting or by hiring the most aggressive sales agents. In the same way, no amount of money spent on advertising or sales promotion to pull demand can ever be justified. It is the goal of the management to have correct picture of the type of business to which shareholders’ fund is being committed. Most of these companies that suffer set-backs are simply reflecting the inability of their managements to define corporate goals. If positive answers are not provided to questions like-what type of business are we really in? What kinds of business we hope to do? What are the best tactics of achieving our objective? 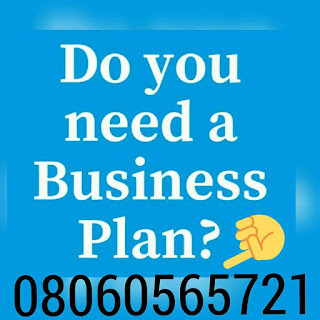 This is essentials because answers to these questions shall form the premise upon who the business objectives, marketing programmes and policies would be based. RESEARCH – While feasibility study is concerned with the profitability or otherwise as well as the factors that must be considered for a successful take-off, the essence of market research is to ensure that the management is armed with adequate facts and figures relating to the environment which it intends to serve. Failure to achieve the desired turnover is the resultant effect of the management’s inability to direct efforts at the right market. As such, a lot of money is tied down in form of unsalable stocks, leading to high cost of storage and other incidental expenses. In extreme cases, this may further lead to business shut down. PRODUCT – A product is anything that can be offered to a market for attention, acquisition, or consumption, including physical objects, services, personalities, organization, and desires. It embraces all the negative, as well as the positive aspects of a product consumption. EVALUATION OF THE IDEA: Does the product belong to our line? Is the times right for it now? Does this seem like a good idea for us to make this items. EVALUATION OF THE POTENTIAL MARKET: Does the consumer want or need this product? Is the market big enough to warrant our investing the necessary time, man power, and money to make it? What influences consumer buying this type of produce. EVALUATING THE PRODUCT: Is this new idea sufficiently different and superior to the competitors products to warrant investment? EVALUATING COMPANY RESOURCES: Is our company set up to make this new product? What additional equipment or manpower shall we need to make and market it? Can we make and sell it economically against the price the consumer is willing to pay? How will it take our company with its present or potential resources to recoup investment and start making profits from its operation? Approximately where is the break-even points. PREPARING CUSTOMER SPECIFICATIONS: What assurance do we have that a product meeting these specifications will find a ready market? What should our new product be like? What: should we do to meet customer specification. DEVELOPING THE PRODUCT: When the necessary information has been sorted, which marketing research has developed for us, we can turn to the engineering or laboratory department for the development of a product which meets those specifications as quickly as possible. TESTING THE PRODUCT: A handful of the product newly developed has to be tested in the market against competitors. If there is no similar’ product already in the market, it has to be tested in the market against consumer aparthy or resistance. Generally, there should be modification at this stage regarding consumers’ taste, change, or if the model fails to meet customer specification. PRODUCING THE PRODUCT: Once the new product8 have been tested and have confirmed customers’ willingness to buy, the next stage is to turn it to engineering for last minute modified then turn it over to manufacturing for production for the market. Time tables are carefully drawn showing who is who, allowing the sales, advertising, and promotion departments to prepare their programmes properly to give ample coverage of the market. SELLING THE PRODUCT: Selling the product should begin as soon as production has turned out fully enough to warrant initial strategy laid down. It is important that dealers and distributors, as well as company’s’ own salesforce to have full knowledge beforehand. CONTROL AND EVALUATION: As soon as their product has gained ground in the market, it h<as to be controlled and evaluated continually. One cannot definitely mention exactly the life span of a given product. But, common sense tells us that fashion goods live shorter lives than industrial goods. A firm that sets unguarded limits to its product lines or relishes in concentrating on a single product when it is supposed to be diversifying is not doing itself any good. There is sense in having a wider range of goods in different stage of existence so that they can compensate and complement one another. For a marketing firm to overcome such pitfalls, its management must evolve long – ranges products planning and development as a strategy.